Looking for the perfect gift for your favorite soccer mom? Of course, mom would love anything that you pick out but if she’s a soccer mom, then these gifts for soccer moms might give you some great ideas. I think that #7 is my favorite, isn’t that the cutest? I also love the Soccer Mom Life tee (#20) … it’s so sporty and cute! 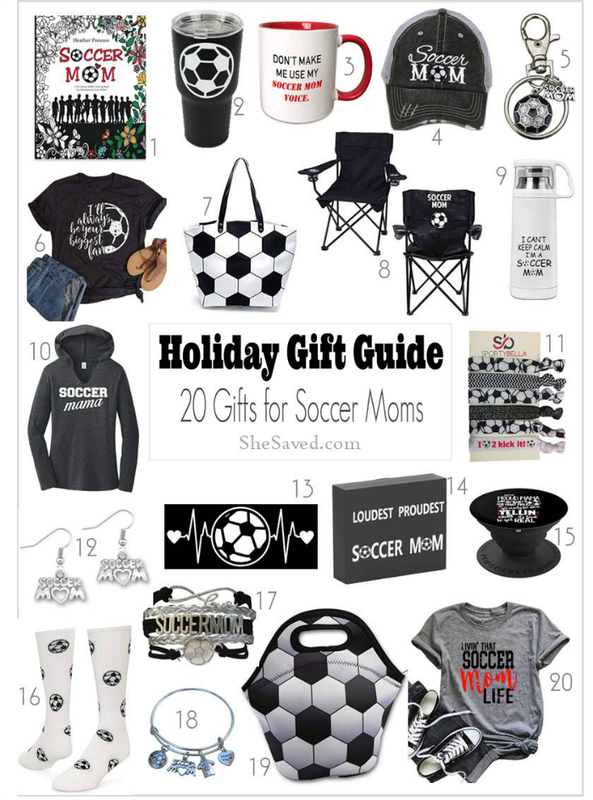 Being a sports mom is one of the greatest things in the world and I think that’s why any of these would make a fun fit for an soccer loving mama and I also love the huge variety of price points and many of these are very practical items that mom can enjoy both during the season and in the off-season as well! Which one is your favorite?